Think back to some of your favorite videos. What did you like about them? If you’re anything like us, it’s not just one thing. Every individual part of the video, from the story to the graphics, just fit together perfectly. They complement each other, working in tandem to create something special. Motion graphics is animation, but with text as a major component. Essentially, it’s animated graphic design. Ever since motion graphics first entered the scene, there’s been a debate about the line between them and full animation. The opening credits of Hitchcock’s Psycho is an early example of motion graphics, where the marriage of sound, motion, and graphic design come together exceptionally well. Motion graphics are a way to communicate with the viewer, and add depth to the story. Together with music and effective copy, they can give us a message. We use them to create ads, title sequences for movies, [explainer](Put simply, motion graphics are animation, with text as a major component.) videos and to share information. Many of our templates use motion graphics to help you communicate your message. Let’s take a look at some examples of motion graphics in action. Broadcast channel La Effe were looking to refresh their brand, something that would set them apart from other SKY channels. The new design, by Nerdo Creative Studio, is a meld of high-end art magazine-like styles cherry-picked from the history of graphic design, with a strong emphasis on typography. We think it’s fair to say you don’t see something like this on television every day. This lovely piece almost doesn’t qualify as motion graphics due to the lack of text, but the animation plays second fiddle to the voiceover, and really only exists to support the story. 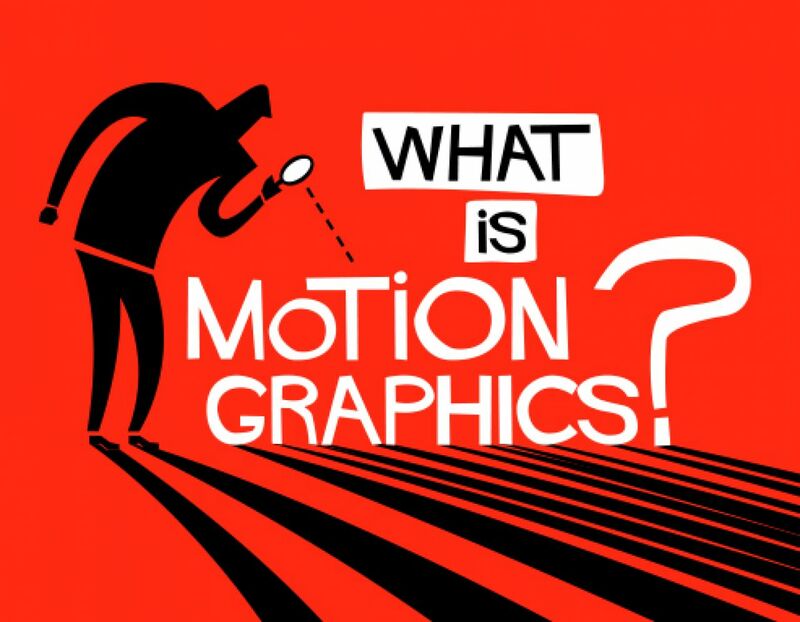 Another definition of motion graphics, therefore, could be that they’re moving illustrations for narratives. This awareness video combines motion graphics with a background track and a voiceover to share a powerful message. It’s all about the story. There’s no need for color or fancy designs in order to share something that matters. Sometimes, the simplest designs can illustrate a story in a more direct way, while keeping the integrity of the story intact. You can use simple motion graphics in your own awareness, motivational and explainer videos. Craft a powerful story and use animation to support it. Motion Graphics are great for creating a powerful explainer video. ITFT uses motion graphics to illustrate their points and show the blockchain in action. It’s an effective way to support a concept because it can help the viewer visualise it in a way a presentation can’t. Next time you create an explainer video, you can use motion graphics to support a point or to help the viewer see the information you share in a different way. This video proves that you can use motion graphics to create an entire music video! The graphics itself tell a separate story that complements the song, the same way other music videos do. It’s an interesting concept that highlights the different contexts motion graphics can be used in. You can use them to create an ad or even make a short film. Product videos can be a great way to get your product in front of customers and increase sales. Motion graphics can help you create fun, entertaining and engaging product videos that are cheaper to produce than full animation, and bring something a little different to the table, like this video from Lavit. We’re pretty big fans of motion graphics. You can check out our full list of free templates here, but today, we’d like to share some of our favorites. This template combines motion graphics with short videos. It’s a great place to start if you want to create an explainer video for a landing page, your YouTube channel or your home page. The combination of different media will keep the viewer engaged throughout. Have an important announcement you’d like to share? Maybe you’re launching a new product or welcoming a new team member on board. This template is great for upcoming launches and sharing big news. You can use motion graphics to inject a bit of life and levity into a presentation or video in a variety of contexts. Making an infographic video? Give those statistics a bit of life by adding some motion graphics. Use them in videos you make to share on social media. Motion graphics are fantastic for getting your point across in an explainer video. It’s a great, affordable way to make a video. Why don’t you give motion graphics a try today with one of our templates?